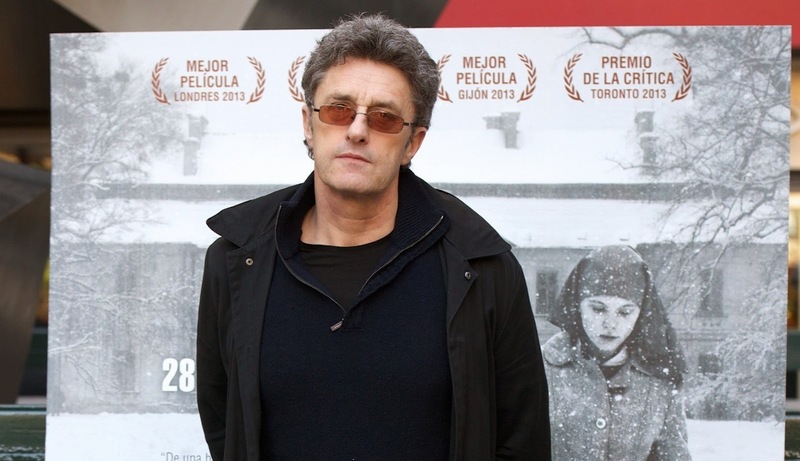 After the commercial and critical disappointment of his 2011 mystery The Woman in the Fifth, Pawel Pawlikowski responded by going back to basics. Shooting for the first time in his native Poland, the director made Ida, an 80-minute film about a young nun's voyage of discovery, filmed in black-and-white and in a square aspect ratio. Remarkably, this tiny film has grown into an enormous success, with the haunting beauty of its images and the simplicity of its storytelling resonating with almost everyone who experiences it. Ida is a remarkable artistic achievement and one of the year's best films, and I met Pawel Pawlikowski to discuss it. Ida is a film that is deliberately out of step with current trends in contemporary cinema, and yet it has been a huge success so far. Why do you think this film has connected with audiences in such a big way? It's hard to understand. Partly it's because it deals with universal themes, and it's strange listening to audiences in Korea, Colombia or Spain – especially countries with tortured recent histories – they connect with this sense of tragedy in the background and of trying to make sense of their lives. But I also think a lot of people crave the silence, the simplicity, the meditation or whatever the quality is that takes you out of modern culture, just for a moment. I remember seeing a poster for this film in Paris when it came out in February, and they chose a really good poster in Paris, the wide shot of the monastery with the nun walking in the snow, and it jumped out at you. All of the colours and movement, and suddenly you had this black-and-white space in the middle of it. I think it's just a throwback to another era. There has been a lot of talk about how this film feels stylistically like a film from the '60s, but I also felt that it belonged in that era thematically. It was a period when filmmakers were exploring issues of faith in an artistically daring way, and that's something we don't see so much of anymore. Were you conscious of wanting to re-examine that territory? I was much more naïve with this film. I just wanted to do it for myself. At the very beginning in the mists of time I had this idea of a Jewish nun, just because in Poland this is an interesting phenomenon, and I started to ask questions about what constitutes faith. Is it habits, rituals, social contexts, national traditions? Or is it something more spiritual and transcendental? And identity as well, you know, what makes a Pole? So it was a completely intuitive film in that respect. But on the other hand, when it came down to how I was going to do it, there was a motive to escape the noise and the information overload. It was just a case of being tired of cinema. I'm not talking about commercial films necessarily, but especially middlebrow films, you know, these good "quality" films are the worst. I was tired of all the trickery and devices of cinema – all those close-ups, tracking shots, helicopter shots, beautiful lighting, emoting – and one of the key phrases on the set was, "God, this feels too much like cinema." We said that if it was overlit or if the framings didn't feel accidental enough, or whatever. So it was an escapist film in a way, trying to escape my boredom of cinema. I mean there are some films I love, of course, but fewer and fewer. So was the 4:3, black-and-white image part of your plan from the very start? First the black-and-white, then the 4:3. The black-and-white was in my mind when I was writing, partly because it just felt right for that period, how people remember it and how I remember it, but then it became clear that it had much to do with the meditative nature of the film. Black-and-white takes us away from reality, which is in colour, and it just simplifies the world into black, white and grey. It's more conducive to a kind of timelessness. It allows you to create so many vivid images that really imprint themselves onto your mind. I have seen pictures of Agata Trzebuchowska in colour and she's a very beautiful woman, but it's really extraordinary how she looks in black-and-white, the way it brings out her eyes and defines her features. Yeah, exactly. It's a kind of abstraction from reality, which the film is as well. It's not trying to imitate the reality of that time or the films of that time, it's just a shorthand for the world. What was your approach to framing your shots? One of the notable things in the film is how you frequently have your characters low in the frame or to the side, almost emphasising the background more than them. It came as a result of choosing the 4:3, because when I was trying out the lenses I realised that while 4:3 is really good for portraits and certain shots it does limit you with the landscape. So it was just on spec, you know, I wondered how we could recreate the landscape, and so we tried tilting the camera up or to the side to give it some context. It gave us some interesting results and so we continued doing it, and then it was too late to stop doing it. Because we were making a film that was clearly not going to be commercial – although it has turned out to be commercial, strangely enough – and we would have such a limited audience, I just wanted to do it the way I wanted to do it and take risks. I guess it has a kind of vertical quality to it anyway because of the nature of the film, but I only intellectualised this choice much later and at the time it was just to try and make it more interesting. This is such a minimalist film with characters who display very little overt emotion. When you are making something as reserved as this, is there a risk of holding back too much, or do you just have faith that what you're trying to express will come across for the viewer? You just go with it. I made the decision to do it like that, and of course there were murmurings from the financiers – "Why can't they emote more? Why can't the camera move? This is going to be a disaster." The rushes didn't have a very good reception! [laughs] But I always assume that this film could be my last film, and I just didn't want to think that I hadn't done it the way I wanted to do it. I had a really good team around me too, they were very excited to be doing something that was so on the brink. I had a wonderful young DP [Lukasz Zal] who had never shot a film in his life, so he wasn't afraid of his reputation at all. His work is incredible. I was amazed when I discovered how inexperienced he was. And he only came on board at the last minute when your regular cinematographer left? Yes, he didn't like the direction the film was going in. Lukasz was the camera operator and had studied it and shot a documentary, so it wasn't like he didn't have a clue, but I did ring around all the other DPs that I knew first! [laughs] I called Robbie Ryan, the guy who shoots with Andrea Arnold. He asked me what the story was and I said it's about a nun, and he said, "What is it about nuns this year? I'm doing a film about nuns already," because he was working on Philomena. So basically I had no choice other than to go with the guy who was there, and he turned out to be great. Good energy, total courage and he was really excited, and that's all you need. Of course, you need talent as well, but when you go on this kind of journey you want people who will just go with you, with no ego problems and no fear. I also had a great Polish producer, who was a bit shell-shocked by my methods at first but then she said, "OK, he's writing the script with his camera," and she accepted it. She was really protective and I made a deal with her; wherever possible she will indulge me, but if she says it's impossible I will trust her and not push it, so we just developed this shorthand and moral code. What was it like making a film in Poland for the first time after being away for so many years? Did it feel like going home, or was it like making a film in a foreign country? Most crew members are similar, so it was like going home. And all of the figures in the film are drawn from people I've known – apart from Ida, who is a bit of a fantasy come true – and even the locations and the cars, it was a bit of a nostalgia trip. So in that respect it felt like coming home, and not just to Poland but to the '60s, which I had grown up in and identified with. And the crew was great, I mean, every film is a nightmare, and you have moments where it's wonderful and moments where you think it's a sinking ship, but because I'm older now I'm much calmer when these disasters happen. When the snow fell we couldn't shoot for weeks until the snow melted, but there are bigger problems in life. So is the vision of '60s Poland that we see in the film largely drawn from your memory, or was there research involved in it too? A lot of it is from my own point of view, but I also read a lot of novels that came out at the time, from writers like Hłasko and Andrzejewski, and the jazz music from that period I loved, and theatre and film. There was a kind of fearlessness about Polish culture at the time, a marginal freedom that emerged after Stalin and we grabbed it with such energy and imagination. I don't think Polish culture ever recaptured that spirit, and although I wasn't trying to imitate that culture I was trying to recapture that spirit, to make a film that was out there and wasn't looking over its shoulder. The Poland we see in the film is a country that is trying to move forward but is still haunted by events of the recent past. Was that something you were conscious of? No, because I thought it was just normal, and it was the only reality I knew. But looking back, yes, and I consciously chose that moment because the tectonic plates were shifting but it wasn't a dramatic turn like '56 or '68, which were clear turning points. They were much more dramatic and it would have been impossible to not deal with that drama, whereas here drama is sort of hidden. So that had a lot to do with it, but I also thought it was pretty cool and I wanted to project a cool image of Poland. It's funny, I read a review in Variety from someone who absolutely hated the film, and he said it was a really bleak Poland, but I thought I was making an advert for Poland! [laughs] We've got this great music, landscape, the sky, and people who are cunning, witty, sharp, but who have lived, you know. They're sculpted by history and have made decisions to do with their life and death. I found that plus the style to be really good territory. A lot of it came from the west, you know, these beatnik attitudes. They came from the west but it was the Polish version of it, which made it touching and cool. All those guys wearing leather jackets had seen James Dean's movies. Yeah, but James Dean was some bourgeois kid whereas these guys had to find the jacket on the black market, they had to avoid the army, they have to avoid the state. There was much more at stake so these attitudes were underpinned by some real existential problems and not the problems of middle-class suburbia. You used the phrase "writing with the camera" earlier, but when you did sit down to write this film what was your process? You were working with Rebecca Lenkiewicz who isn't a screenwriter, I believe. Yes, she's a playwright. I had actually written the story before and I wrote a different version that ended up winning an award at Cannes for the best script, strangely enough. Then I forgot all about it and went off and made another film, and when I returned to it I just stripped it all down and sat down with Rebecca to just start knocking things around. She wrote a bit, I wrote a bit, she wrote a bit more, etc. I find I can only really function when I'm not facing a blank page, it's like sitting in a psychiatrist's chair, so I like to work with someone just to get the whole thing to come out rather than being precious about the writing. The script was around 60 pages. It was partly good and partly things I could tell I'd have to change, but it was a document that we could raise the money on with a beginning and an end and some good things in the middle. But for the me the writing never stops and you are always taking the film to another level through casting, sculpting, photographing and rewriting, so I kept enriching it all the time. I was even rewriting it during the filming, and when we had a big break in filming because of the snow I rewrote the second part quite substantially. I didn't change the overall shape of what the film was doing, but I was just getting it into balance. For example, the stuff in the hotel originally was one night, but a lot of things happened in that one night and I felt it was too much so we added some scenes to spread these events over a few nights. I also felt the scenes between Lis and Anna were very clunky because I can't write love scenes, but when I had the two actors I found that less is more and a lot of what happens in those scenes wasn't written. So it wasn't exactly what you'd call a beautifully written script, but the only script that matters is the final one and how you get there is nobody's business. You know, in the west there is this kind of industrial approach to filmmaking; a producer buys a book, a dramatist is hired to write a script, a director is hired, the actors, the crew, and everyone just has their job to do. But the beauty of filmmaking is that it's a total work of art; literature, image-making, music, sound, psychology, it all intertwines in the most mysterious way and what you have at the end is the only thing that matters. Would it have been a very different film if you had shot that Cannes prize-winning script? I would never in my life have shot that script! [laughs] No, it was awful. Who gives these awards? It was some bureaucrats of culture, the European Media...something. I shouldn't criticise them because they did give us some cash for the production, but nobody knows how to read scripts, you know. People think that if everything is explained, if everything leads to something else, and if it's about an important subject, then it's a great script, but for me a script is simply a means to an end. When something is too explicit and you need explanatory dialogue or scenes that set things to get from A to B, then you're already losing and it's not going to be a great film. A film should emerge by a kind of divine grace, and when I feel that a script is telling me what I should feel then I'm out of it. For example, the ending of the film is very ambiguous. We're never really sure what this whole experience has meant for Ida. Yes, and that's how it should be. It's for the audience to work those things out. You also move the camera in that final shot, which I think is the first time you do so in the film. The shot before is a tracking shot from a truck but the last one is handheld and totally obeys her body movement. At the end she actually dictates what the camera does. Your lead actress Agata Trzebuchowska has never acted before. Was it easy to convince her to take this role? She was interested in meeting me because she had seen my films and she liked Last Resort and My Summer of Love, so she was just curious. When she could see that it wasn't anything like a studio film she slipped into it, although it was actually very scary because I felt she could have walked out at any moment, she really has no ambition to be an actress. But she's a lovely girl and very clever, sharp and principled as well. She's very curious about how film works and how the world works. So this could be both the beginning and end of her film career? Well, if some interesting director asked her for an interesting project then I don't know. I don't really know what her scale would be because her role in my film is not very versatile. The character grows but she's still made of the same material, unlike the role of Magda, which has many different facets and required a professional virtuoso actress. Agata is actually just doing her final exams this week in Warsaw where she's studying philosophy and history of art, so she's very aware of aesthetics and what they mean and she was interested in the process of filmmaking. I don't think she's an actress type, though, she doesn't enjoy being the centre of attention, and that's actually why I chose her, because she doesn't have a histrionic bone in her body and she doesn't need to perform to be alive. Your film did remind me a little of Dreyer so perhaps she'll be like Maria Falconetti who never made another film after The Passion of Joan of Arc. Really, she never did another one after that? No, she went back to working in the theatre after that experience. That's fantastic. I mean, never say never, if Sorrentino or someone like that called her then I'm sure she'd be interested, but I don't think she'll have a career. To have a career I think you need to be a theatre actress anyway. The other Agata, Agata Kulesza, is a theatre actress. Is that where you first saw her? I first saw her in a film but it was when I saw her in a play in a Warsaw theatre that I understood that she was brilliant, and when I met her I realised that she was also a great character. She's funny, sharp and strong. No ego, no fear. They're both very intelligent women but strong in different ways. Finally, do you know what your next project will be? And do you intend to continue working in Poland or will you return to the UK? Not entirely. I always have three things floating that are a bit half-baked. One is a story I wrote set in Poland again. One is about young Bach, as an angry young man when he want on this strange pilgrimage, but it's not really a historical film, it's more a meditation about life, the Devil, Bach and stuff. He was a troubled young man when he went on foot to visit his grandmaster of the organ, and it was a very interesting trip. And I've got another one set in England, on a boat on the Thames Estuary. They're all very different locations but dealing with universal themes. It seems like the experience of making Ida has had a kind of liberating effect for you, and has reignited your passion for filmmaking. Is that a fair observation? Yeah, I think so. It's never fun but there was a kind of calm about the whole exercise. You know, The Woman in the Fifth is a film I like a lot and is my most personal thing, but it was a very contorted experience, because it was a cultural and generic hybrid, and it looked like a commercial film but was always intended to be an avant-garde, incomprehensible experiment. It reflected where I was at the time in my head, and generally all my films, including my documentaries, act as markers for where I am. I'm not a professional filmmaker, it's just a little part of my life and it's not how I define myself. It's not really important whether I make the film in Poland, England or wherever, the films are always the result of where I am, what I've discovered and what's in my head.